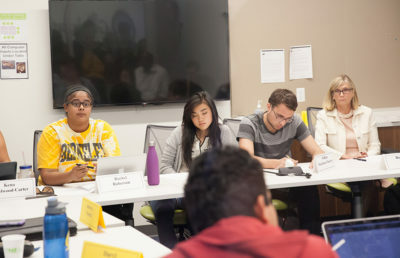 The ASUC Senate convenes at a meeting Wednesday night and unanimously passes a bill to temporarily move two student resource centers to new locations. 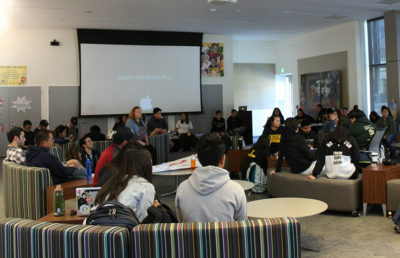 The ASUC Senate unanimously passed a resolution at its meeting Wednesday to temporarily move the bridges Multicultural Resource Center and the Queer Alliance Resource Center to the fourth floor of the Martin Luther King Jr. Student Union and provide them priority reservations on the fifth floor. 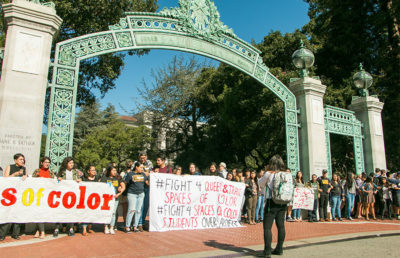 The resolution comes after ongoing protests by bridges and QARC, in which the centers demanded the Cal Student Store and the fifth floor of Eshleman Hall, respectively, in place of their current location in the Eshleman Hall basement. The resolution states that the new spaces will serve only as temporary locations for the centers and demands that campus administration work to provide QARC and bridges with a permanent location. The unanimous senate passage of the resolution was met with applause by members of QARC and bridges present at the meeting. To be implemented, the resolution must now be approved by the ASUC Student Union Board of Directors. ASUC senators at the meeting voiced their support for the student centers and their work. 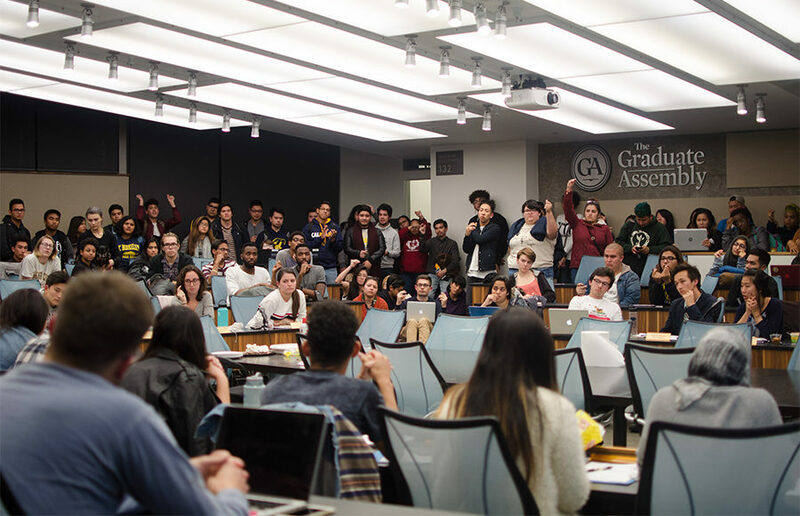 Various senators said that going forward, they hope to form a better dialogue with QARC and bridges, noting previous tensions between the centers and the ASUC. The bill demands that campus administration make adjustments to the fourth floor of the MLK Student Union to make the space more visible and useful for bridges and QARC by placing signs that identify the locations of the centers, increasing light in the space and modernizing furnishments. 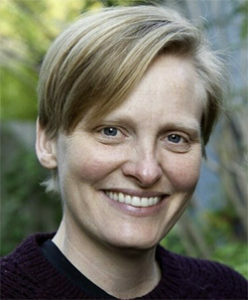 The ASUC Student Union Board previously offered the centers spaces in the Anna Head Alumnae Hall, the fourth floor of the Martin Luther King Jr. Student Union and Hearst Field Annex Building A, which QARC and bridges rejected. 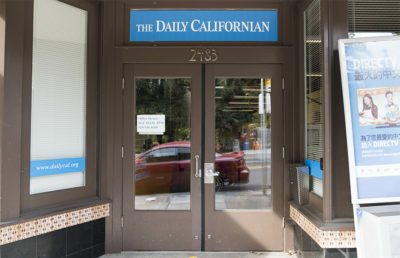 According to Nguyen, the centers are currently in conversation with UC Berkeley about determining permanent spaces. Contact Sydney Fix at [email protected] and follow her on Twitter at @sydney_fix.